A leading Modern Orthodox rabbi is taken away in handcuffs by police Oct. 14 on criminal charges of voyeurism, more precisely for installing and maintaining an electronic device to secretly record “female complainants using a bathroom or restroom or totally or partially undressed or changing clothes.” In court the next day, the rabbi denies these charges of deviant acts of seeking out women with a hidden video camera in the mikvah of his own congregation– Kesher Israel in Washington, D.C.
O Rabbi Barry Freundel! If indeed you did this deed, how could you? This is the stuff of an Isaac Bashevis Singer story conjuring up the demonic side of shtetl life. Not the schoolboy prank where Yentl the Yeshiva Boy is approached by her bad-boy classmates to join them in spying on naked women in the bathhouse. No. This is something deeper, darker, if indeed true. It is the kind of unnatural tale that in I.B. Singer’s hands could terminate in damnation. In our modern demonic world, the damage seems to be spreading beyond the soul of the alleged perpetrator. The higher the status, the more tragic the fall. Rabbi to former Senator Joseph Lieberman and Treasury Secretary Jacob Lew. Erudite in realms religious and secular. Powerful in the male leadership of the Modern Orthodox establishment – former VP of the Rabbinical Council of America and of the Vaad (Rabbinical Council) of Greater Washington, which maintains the local beit din (the all-male Orthodox religious court). Former consultant to the Ethics Review Board of the NIH’s National Institute on Aging and to the U.S. Presidential Commission on Cloning. If true, what demons drove the highly respected rabbi into the sexual compulsion that would destroy him? Far darker than the easy-breezy Rav Shlomo Carlebach’s fondling young women, this is hidden perversion in a sacred women-only space. 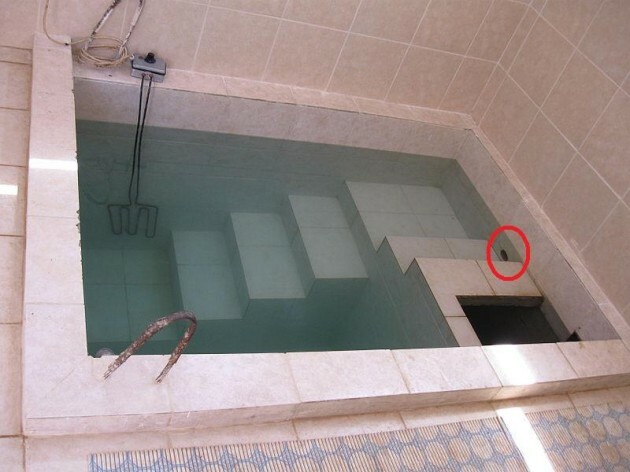 It appears, from the evidence now in the hands of the police and the courts, that the rabbi used the mikvah shower room to hide a camera within a clock– something as neutral and as charged as the measure of time. For a Modern Orthodox leader bridging modernity and tradition, for the mikvah with its time-bound laws for women’s ritual cleansing, how perfectly chilling to lodge digital voyeurism in the housing of a clock. This is beyond a call for safeguards to protect congregations from deviant religious leaders. Notably, unlike the Catholic Church, higher-ups did not keep the inquiry within the fold, quietly shuffling it off to the local beit din with its links to Freundel. The police—not fellow rabbis–were called in immediately after the clock’s real purpose was discovered, and Freundel was publicly shamed in multiple media including the pages of The New York Times and The Washington Post. Rabbi Freundel was not above the law. He was the law. As the former head of the RCA’s conversion committee, he held power over who is a Jew, whose conversion to Judaism by Modern Orthodoxy will be accepted by the State of Israel. And all conversions lead to the mikvah. In these magical, strictly guarded halachic waters transformation takes place. Drawn to the mikvah, Rabbi Freundel may have created the perfect halachic trap. It’s the sacred trap, the final step in conversion for the women some sources are reporting he preyed upon while he was preparing them for entrance into Judaism. It may have been the hidden trap for Rabbi Freundel’s private peep show. And, ultimately, a trap he set for himself. A trifecta of taint – contaminating himself, the conversion process, and the purity of the mikvah. How do you purify a mikvah – do you bury it in sand like koshering cookware? Can you destroy it and rebuild? How do you purify a rabbi? Can he purify himself? The latest from the D.C. police, as reported by The Washington Post, is that law enforcement is expanding the investigation after searching Rabbi Freundel’s Georgetown home and finding more computers and storage devices, some with deleted files labeled with women’s first names. The chilling tale will play out. We are all watching something out of time. Jewish Daily Forward ongoing online coverage by Josh Nathan-Kazis. Amy Stone is a founding mother of Lilith.